Big Business. 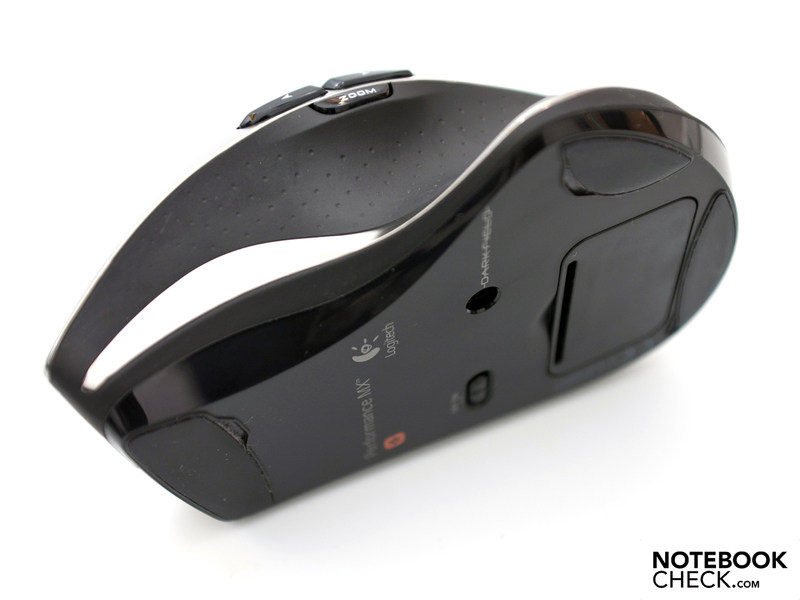 Logitech's Performance Mouse MX is it's current top-model for the office and comes with a Darkfield Laser Sensor, unifying-receiver and an extensive package of accessories. The perfect business-mouse even without a charging station? 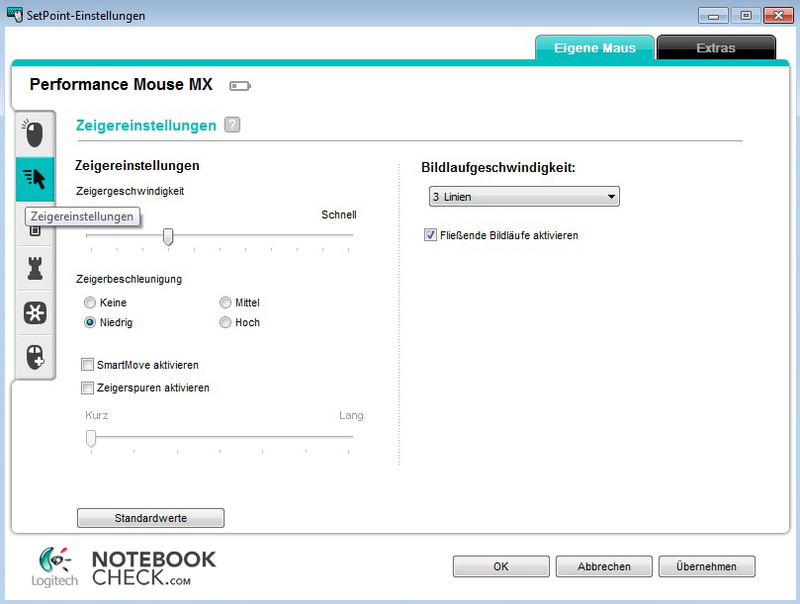 The Performance Mouse MX represents the Swiss peripheries giant Logitech's current top model for businesses and the home office, and we had a chance to take a closer look at it. 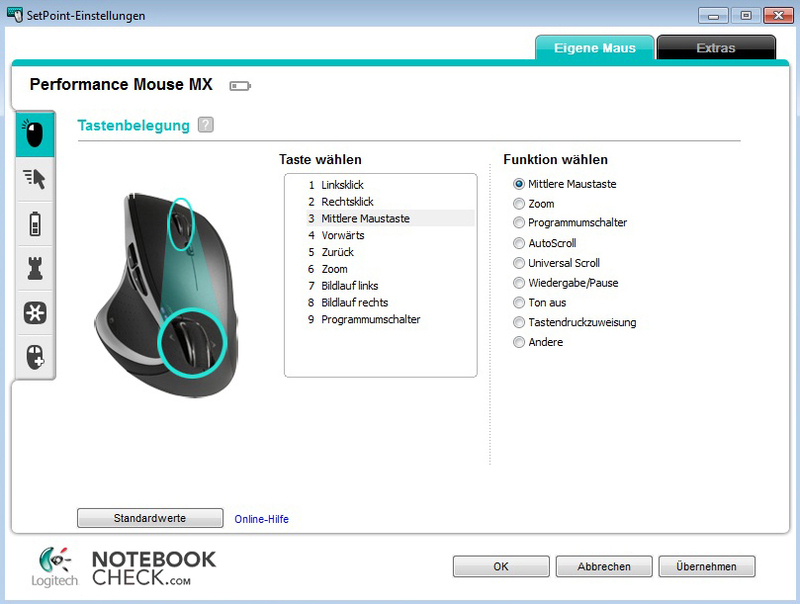 The current portfolio also includes the mobile variants of our tester which are marketed under the name Logitech Anywhere Mouse MX. Both models from 2010 represent the next generation of the MX Revolution and VX Revolution models in the mobile configuration. Its big brother is also delivered in a high-quality package which in addition to several pictures also includes the most important facts. The viewing window is secured with a magnet and allows for an initial visual impression of its design. 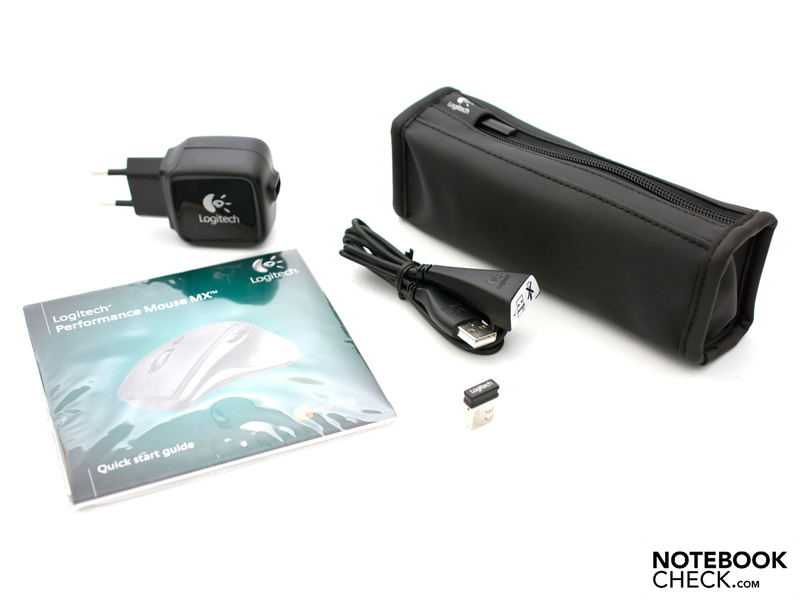 The delivery contents contain the mouse as well as the small Unifying-receiver, several handbooks, a common software DVD for Microsoft Windows and Mac OS X, the charging cable, a USB extension cable and a compact power pack with a USB connection. A nice addition is the accessories bag, though the mouse doesn't fit particularly well into it. 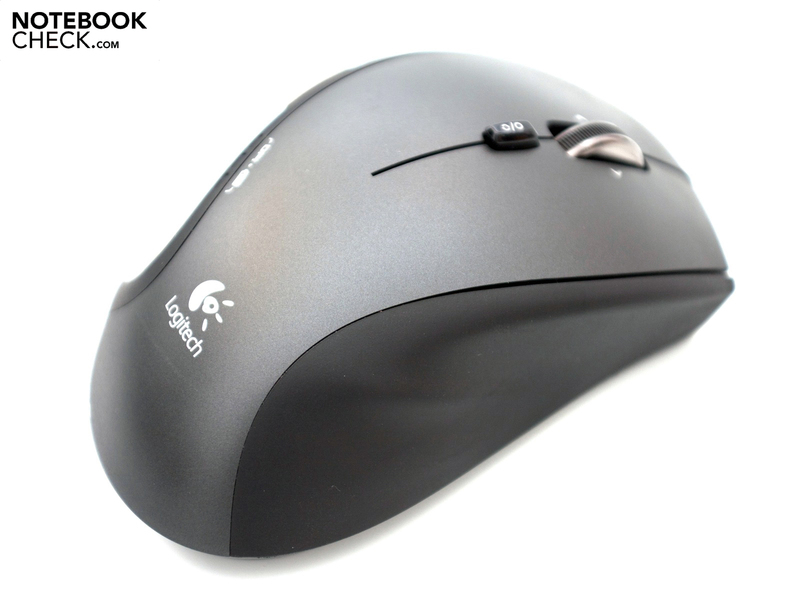 Compared to the Logitech MX Revolution, the new generation is missing the power cable and integrated battery. These have now been replaced by a rechargeable Eneloop battery which comes included. Find out in this review whether or not that decision pays off. The design has undergone a slight update and now looks much more professional without the high gloss paint. What’s striking is the silver band on the left side of the mouse. This looks smart and improves its looks. The construction of the plastic case is good. Its form hasn't changed considerably when compared to its predecessor and is still geared toward right-handers. 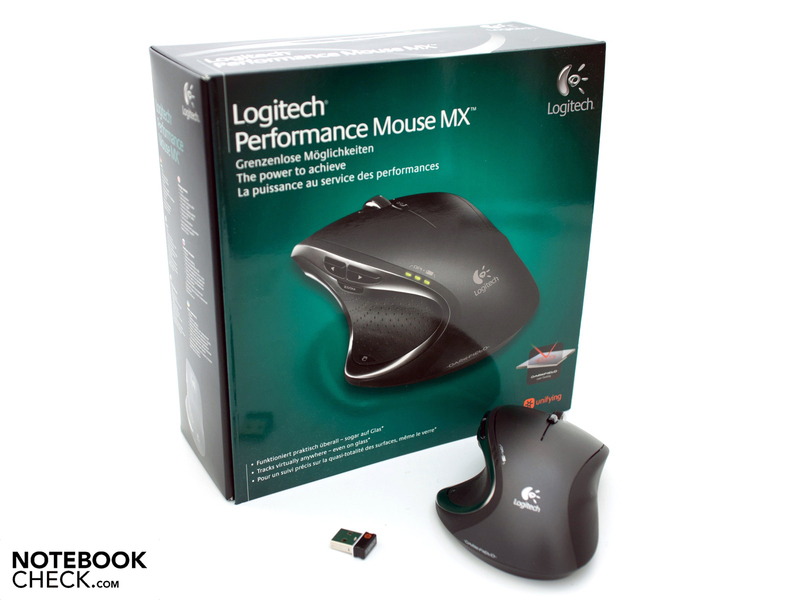 A comparison of the hard facts shows that the Performance Mouse MX, which weighs the same (150 grams), has grown somewhat dimensionally. We were pleased to see that the second SmartShift mouse wheel on the left has been left out as its intent was questionable and could have even been a hindrance for usability. In its place are now two keys under the rubber surface. Through this one can switch between individual programs (Mac OS X: Exposé). The typical arrow-keys on the side have been kept, but were fitted with a new design. 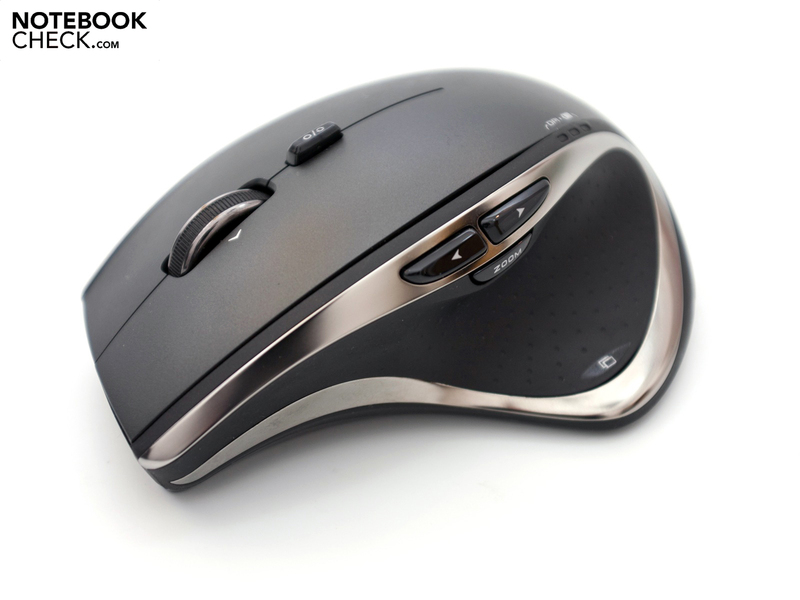 Though the upper side of the mouse doesn't offer any design updates, it does offer a new function. 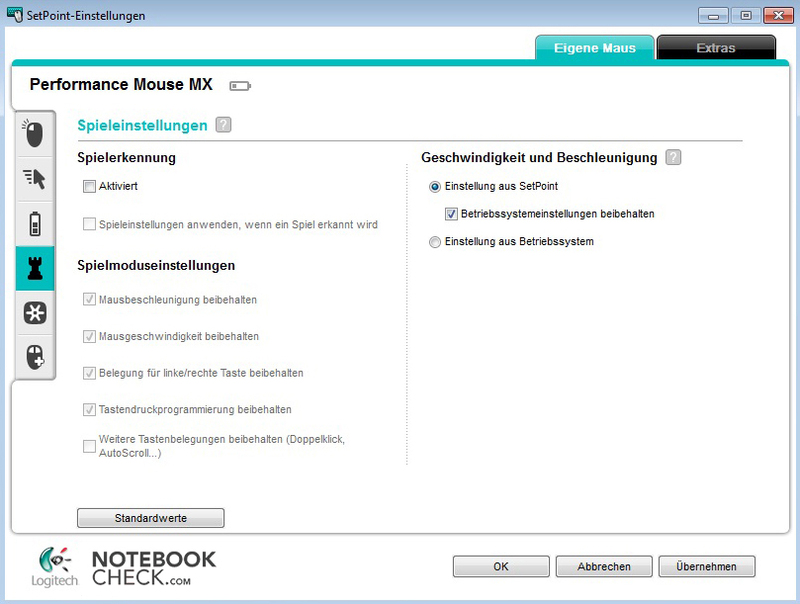 The scrolling characteristics can be manually adjusted with a small key above the SmartShift mouse wheel. Depending on one's preference, the wheel can move freely or in tangible increments. The acceleration in the free mode is a nice feature which hasn't been changed (lightning-fast rolling on long websites/documents). 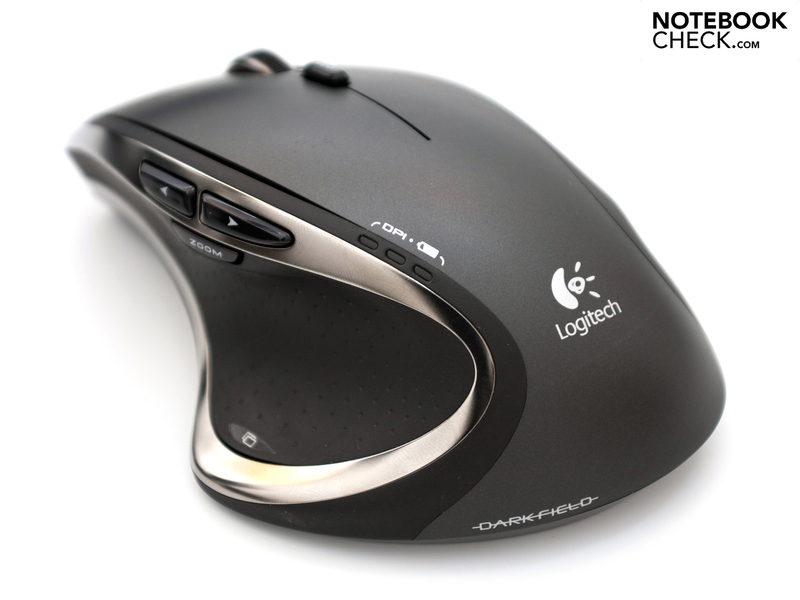 Overall, the feel and ergonomics of the Logitech Performance Mouse MX are impressive. The features and technical details contain further specialties. 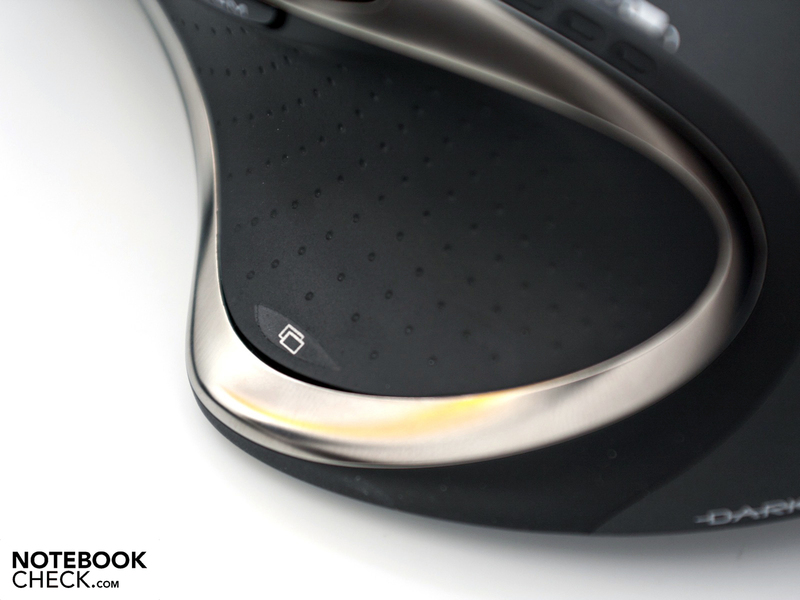 In addition to the gliding pad, the underside also houses a high-quality Darkfield Laser Sensor, which is also in place on the Anywhere Mouse MX. It's possible to use it not only on the typical working surfaces, but on glass surfaces as well. But this tracking only works fully and without problems on glass surfaces which are at least 4 millimeters thick. Anything less causes the picture to hop around somewhat. The receiver unit was also adjusted to fit the current Logitech standard. 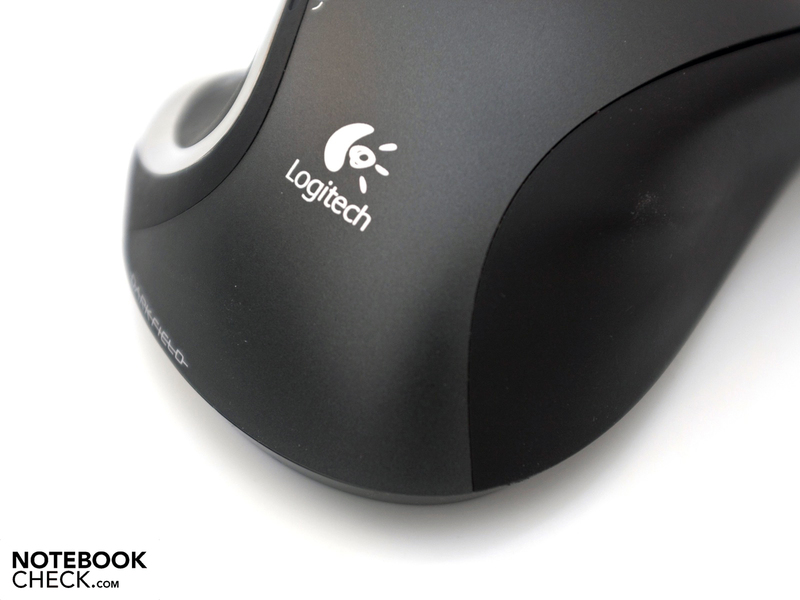 The Unifying-receiver is very compact and enables one to command a maximum of 5 Logitech products simultaneously. But there is no space under the mouse for transporting the receiver. This extra is reserved for the mobile variants. The energy concept used for the mouse is a clear disadvantage. 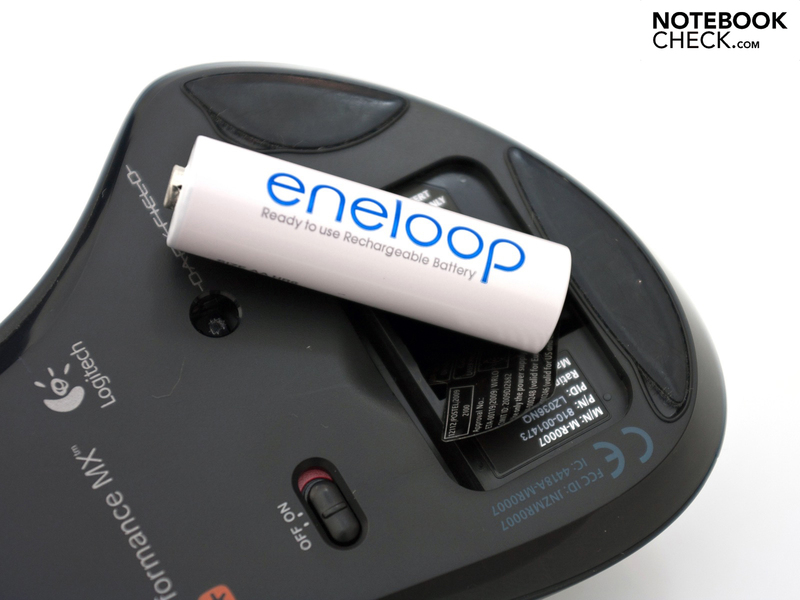 Instead of a securely integrated battery, Logitech went with a rechargeable Eneloop-AA-battery with 2000 mAh. Subjectively, the runtimes can't hold up to those of its predecessor and it requires frequent recharging. But on the other hand, the charging station has disappeared and a USB cable with a micro-USB connection on the mouse provides fresh energy. 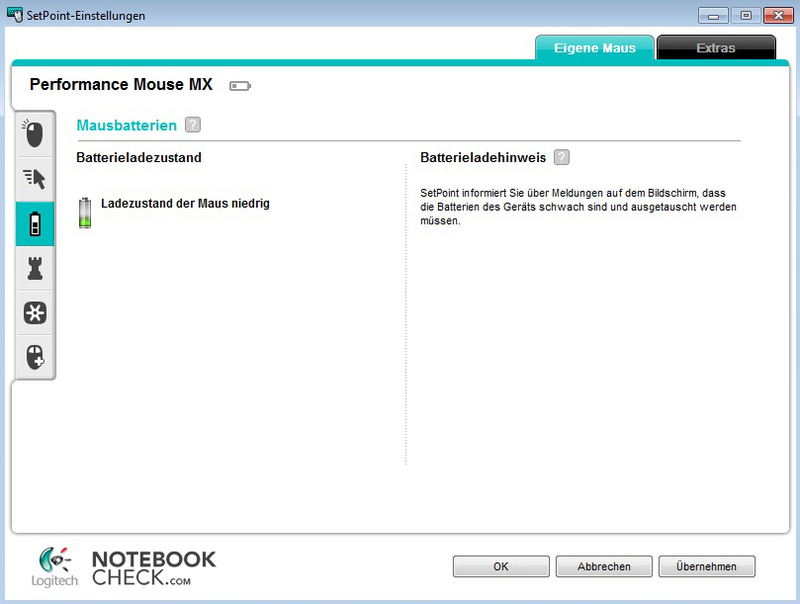 The advantage of this solution: The mouse can continue to be used as a wired-mouse while it is recharging. The delivery includes software as a data medium for both Microsoft Windows as well as for Mac OS X. The configuration possibilities are very comprehensive and, apart from the design of the software, don't differ much. The only exception is the gaming configuration which is only offered in the Windows variant. 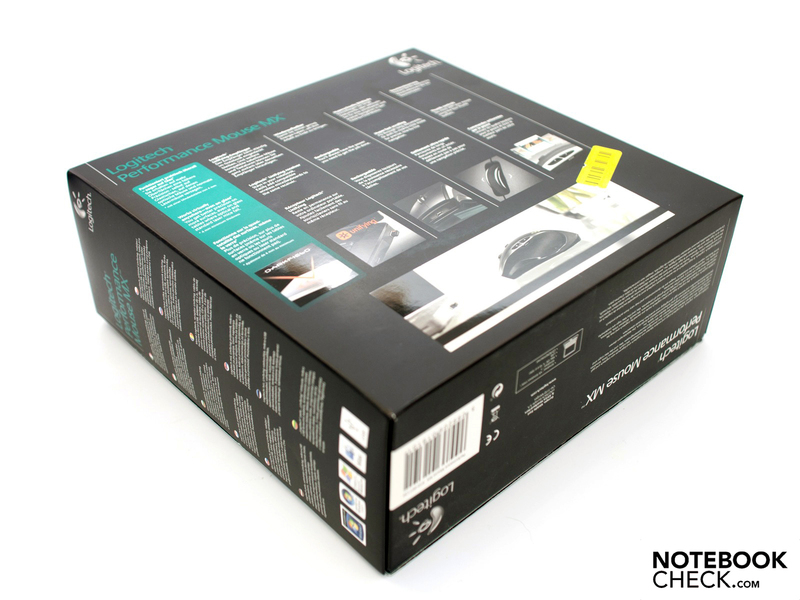 All in all, the software is well-engineered package which Logitech is constantly updating. 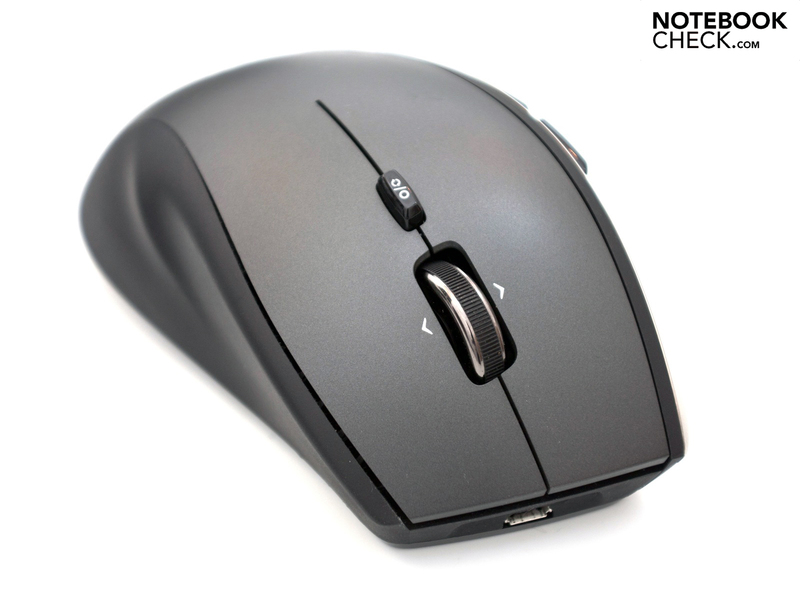 The Logitech Performance Mouse MX is aimed primarily as a stationary alternative to the Anywhere Mouse MX, also found in the high-end segment. Its advantages include its sound construction, customized design, fitting ergonomics and precise Darkfield laser sensor. The comprehensive package of accessories is also impressive, though a separate transport bag would have been ideal. The criticism has to be the current top model, specifically in the run-time area. The small battery gives much shorter life duration and when not in use, switching the power off is recommended. Due to the elimination of the charger, the mouse with the included USB cable, compared to its predecessor, can also be used whilst charging. The current business top-model is deserving of some critique in terms of its runtimes. Subjectively, the small battery offers much shorter runtimes, and turning it off when not in use is recommended. But by eliminating the charging station and including a USB cable, it can also be used when charging, something its predecessor could not. 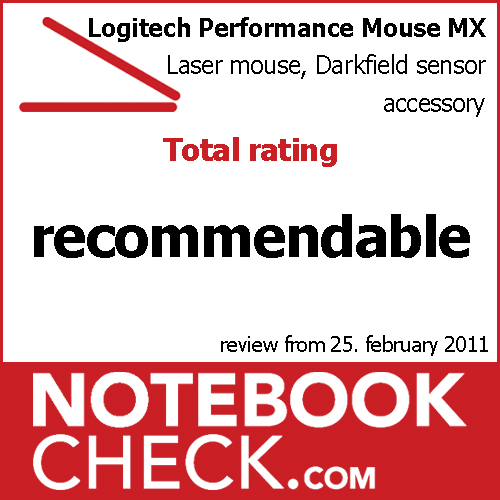 But in the end, the overall impression was good, though the mouse isn't exactly cheap at 70 Euros. 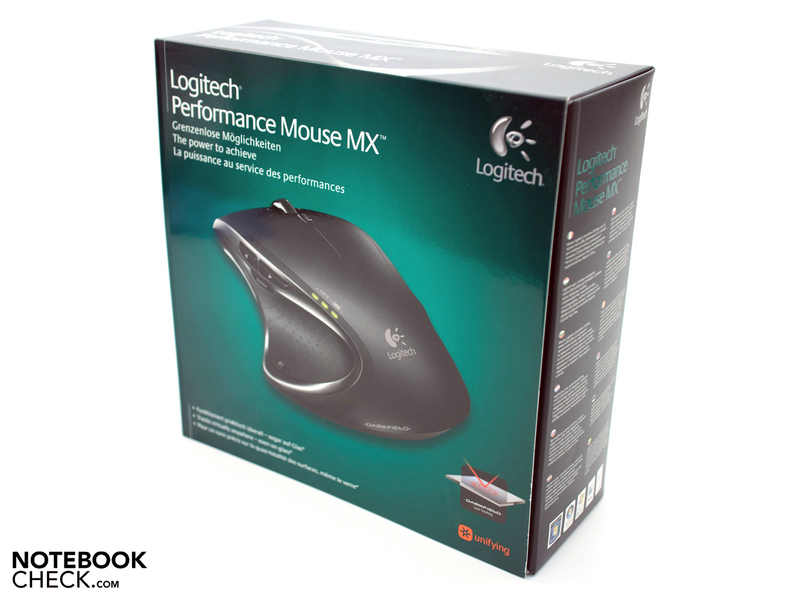 Depending on the user's preferences, the smaller Logitech Anywhere Mouse MX may also represent an advantage. The new simple design, the quality construction, the precise Darkfied laser sensor, the delivery content and the software. Longer battery life, the possibility to tuck away the receiver into the mouse and a transport bag. The ease of use on glass surfaces, the good gliding characteristics and the configuration possibilities. Various radio mouses with and without gaming ambitions. 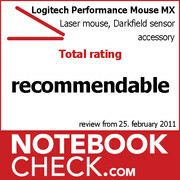 From the Logitech portfolio that would include for example the G9x laser mouse of the mobile Pendant Anywhere Mouse MX.